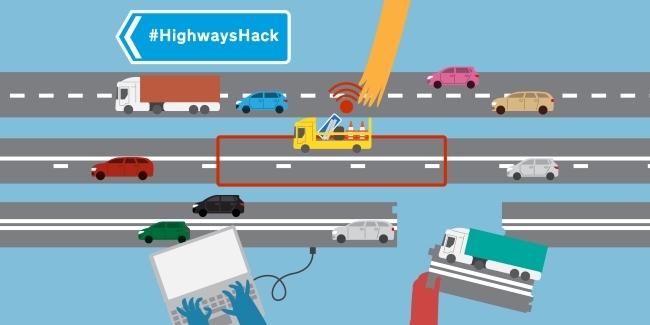 Highways England (which replaced the Highways Agency in 2015) is at the beginning of a journey to improve the quality of its data. 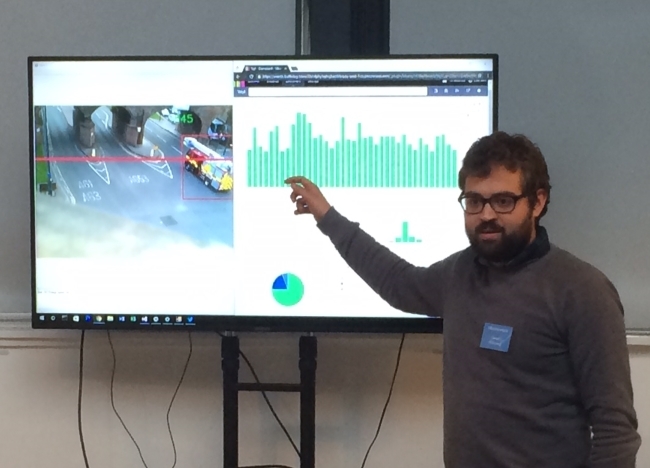 We collect a wide range of data on a variety of topics – from traffic flow to bridge heights, from road surface temperatures to biodiversity - not all of which is used as fully as it could be. 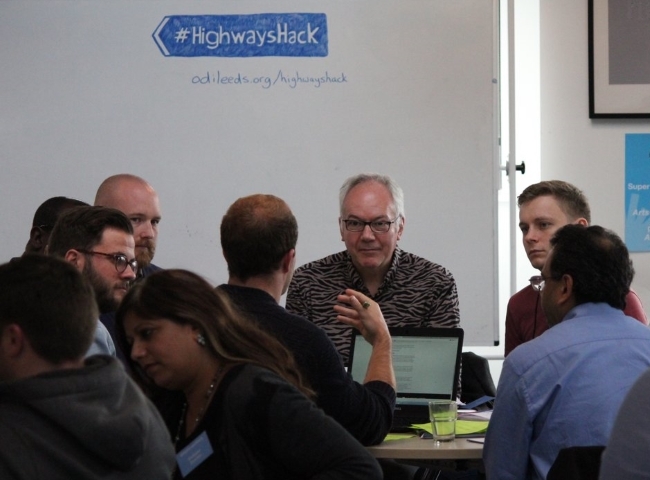 Last month, as part of our third step, we ran #HighwaysHack, in partnership with the Open Data Institute (ODI). 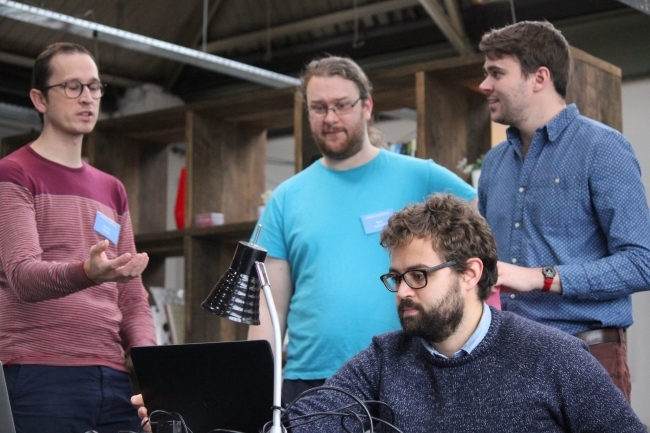 This was a 2 day hack event encouraging people to innovate with our data. We held it both to raise the profile of our data and to invite feedback from users about its quality and value. will I get stuck in traffic? how busy will the roads be in 5-15 years? And so, on Friday 21 October, around 80 people gathered at ODI Leeds to discuss our challenges and come up with some potential solutions. There were representatives from the RAC Foundation, staff from Leeds, Bradford, Calderdale and Birmingham councils, Highways England and central DfT, as well as major consultancy firms and SMEs. Fuelled by a steady flow of delicious refreshments and brimming with enthusiasm, teams soon began to form and ideas quickly flowed. The next day, our hardy band of developers and experts reconvened to build some actual working prototypes. Route Rater - an app that could rate potential routes based on a variety of factors, including historic accident data, air quality, and even how good the scenery is! Busyness - a journey planner that suggests the best time to set off. It includes information for when and where congestion will appear and how other factors such as the weather could affect your journey ("take a brolly"). The Little Car Counter - a piece of software which could turn any webcam into a traffic counting camera. This has the potential to allow local authorities or Highways England to monitor traffic flow inexpensively. Cost of Transport data dashboard – built by the RAC Foundation to show real time change in various traffic related factors such as the price of petrol and diesel, average delay on Highways England’s road network and comparative accident statistics. Freight-as-a-service - a system for members of the public and self-employed couriers to move freight around in a more efficient and convenient way. All of the presentations were both informative and entertaining and can be viewed on YouTube. You can also find tons of material from the day via the ODI Leeds website and by searching #HighwaysHack on Twitter. The fact that these brilliant prototypes were built in such a short time amply demonstrates the value of events such as this and the huge pool of talent which exists in the data community. It was an incredibly worthwhile event and Highways England is planning a rolling series of similar events in the new year. If you are interested in attending, or contributing, please get in touch. Read about things related to digital, technology and data happening in the Department for Transport (DfT) and with its partners.